Basic Soul Unit, the primary production outlet of Toronto’s Stuart Li, has garnered acclaim from myriad camps. 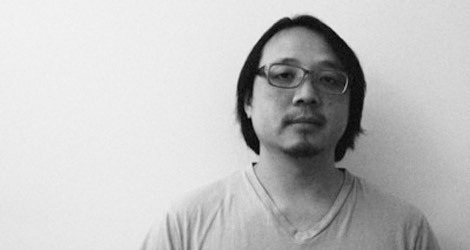 Li has been involved with deep-house mainstays like Japan’s Mule Electronic, but his tracks have also seen release via the likes of Holland’s hard-edged Crème Organization, and received pummeling remixes from Shed and A Made Up Sound. Jacking and punchy but arranged with a disciplined sense of balance, his pieces are coveted by DJs who want to push the mix a bit harder without sacrificing melody. Li’s prowess has landed him fans in Singapore’s Midnight Shift crew, who have recruited him to help inaugurate their label alongside local Eddie Niguel on The First Shift. Simply put, his half of the split shows him doing what he does best. “Undercurrent” is meant to accompany it, but it’s quite different from either track, or indeed anything else in his catalog. Dropping the relentless rhythms altogether, Li lets wispy, woozy loops drift above placid, meditative arpeggiations. It’s imbued with a sense of spring-like wonder, and might fittingly soundtrack a documentary about, say, the world’s largest botanical garden. We’d like to thank Mr. Li and Midnight Shift for letting us host “Undercurrent” as this week’s exclusive download.